Providers face many challenges today. 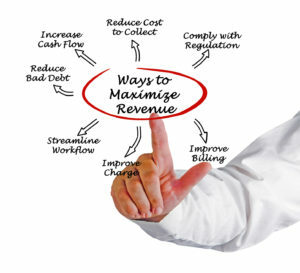 One major question is whether to outsource revenue cycle management to a third party medical billing service or to manage medical billing in house? Several factors can affect your decision for choosing to outsource your medical billing solutions. The most obvious is your ability to have a thriving and growing practice in the often tumultuous health care industry. DC Medical Billing understands the frustrations that medical practices endure. If your staff falls short in just 2 of the 7 considerations below do not hesitate contact us for a free analyses for your practice. The expenses of paying billers’ salaries, covering employee benefits, office space and purchasing technology systems generally add up to more than is commonly paid out to a third-party medical billing service. A medical billing service’s processes, efficiencies, technology and scale are already in place from day one. For that reason alone we do a better job of collecting more of the receivables than in-house teams. Furthermore our staff is thoroughly trained on multiple software systems. A medical billing company like ours can supply you with comprehensive performance reports automatically or upon request. This capability grants you full visibility into your billing operations without requiring you to manage any staff. Like most medical billing companies, we charge a percentage of collections; so if you have a slower month, you are not covering the fixed overhead required for busier months. This is especially useful when you are starting a new practice and growing your patient base. With all the things you need to do at the crucial point of starting your practice, is it the best idea to put a great deal of time, money and effort into hiring, managing and overseeing staff for non-clinical functions in your practice? Unfortunately, internal medical billing departments can be hotbeds for embezzlement, and general employee neglect (think ignored encounter forms, discarded superbills, and unappealed claim denials) can go unnoticed without strict supervision — cutting deeply into your bottom line. If your billing department consists of only two or three staffers, your operations – and cash flow – can be significantly stalled when even just one employee gets sick, goes on vacation, takes a leave of absence or quits altogether.